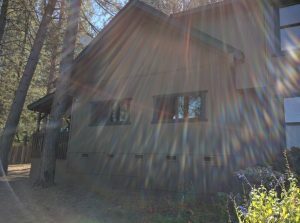 SeaKay Broadband operates a hybrid fiber optic and wireless network to bring high-speed connectivity to our subscribers. We purchase wholesale bandwidth from some of the the same transit providers that the Google and Amazons of the world do. We purchase this bandwidth in carrier-neutral datacenters in the San Francisco Bay Area. 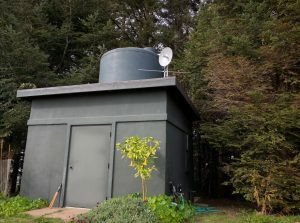 We lease access to fiber optic lines owned by major telecommunication providers between the Bay Area and our head-end in Ukiah. We transport our bandwidth over these lines. We utilize a hybrid approach depending on what is (or isn’t) available near the communities that we serve. 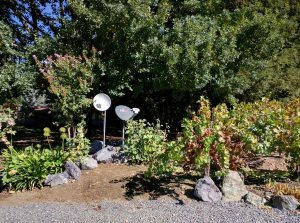 Fiber-fed communities – We lease additional fiber optic lines between our head-end in Ukiah and some communities where available. Once to the community to be served, we install high-speed microwave wireless equipment on building rooftops to distribute the service to residents and businesses in the area. 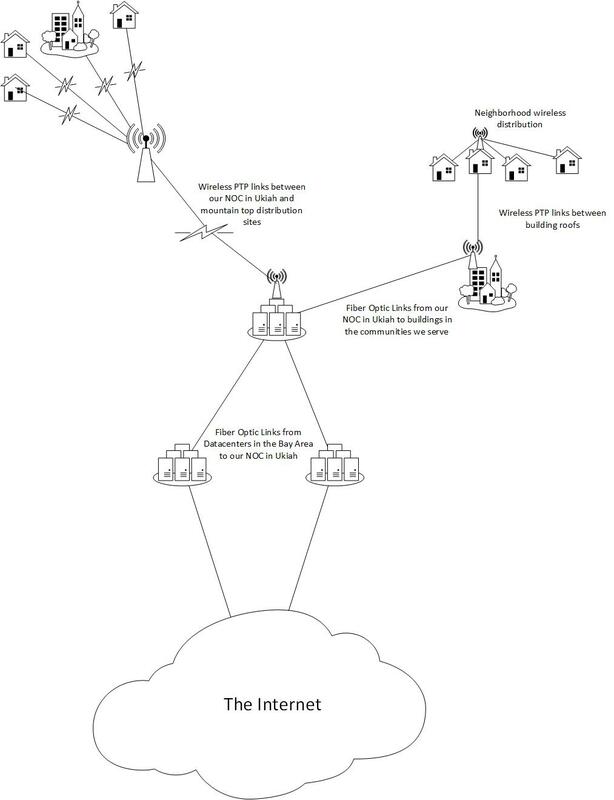 While the community is “fed” via fiber, the “last-mile” connectivity is provided over wireless. We can provide very high speeds using this approach. 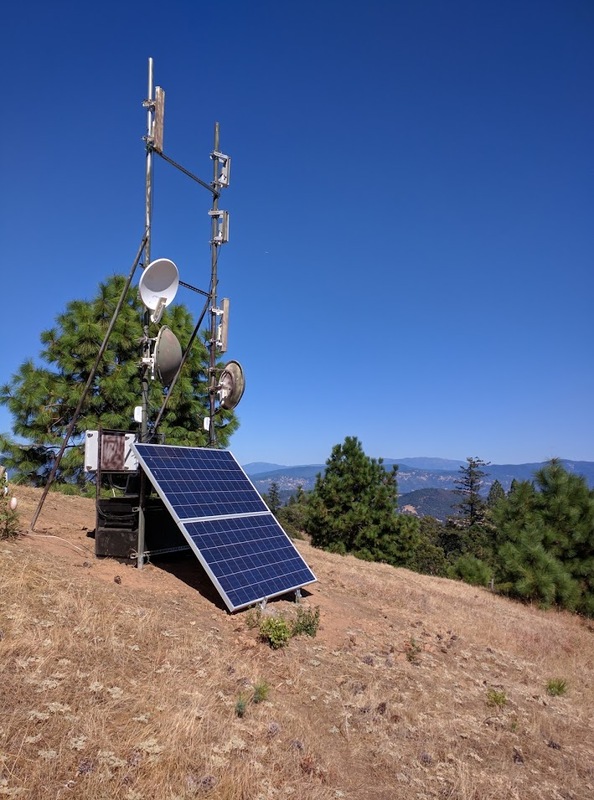 Wirelessly-fed communities – We operate high-speed wireless links from our head-end in Ukiah to a number of mountain tops in the area. From those locations we both directly serve subscribers and feed other distribution points via high-speed wireless links. We can also provide very high speeds using this approach. A majority of our wirelessly-fed sites are powered by the sun. Solar power makes for a convenient, cost effective, highly-reliable, and sustainable way to power our equipment.